Experience laid back luxury at our Fort Lauderdale beachfront hotel, located just 15 minutes from downtown and historic Las Olas Boulevard and 20 minutes from FLL Airport. We offer spacious accommodations and generous amenities for you to enjoy, such as a heated pool, hot tub, Tiki Bar, mini golf, game room, watersports and on-site restaurant. 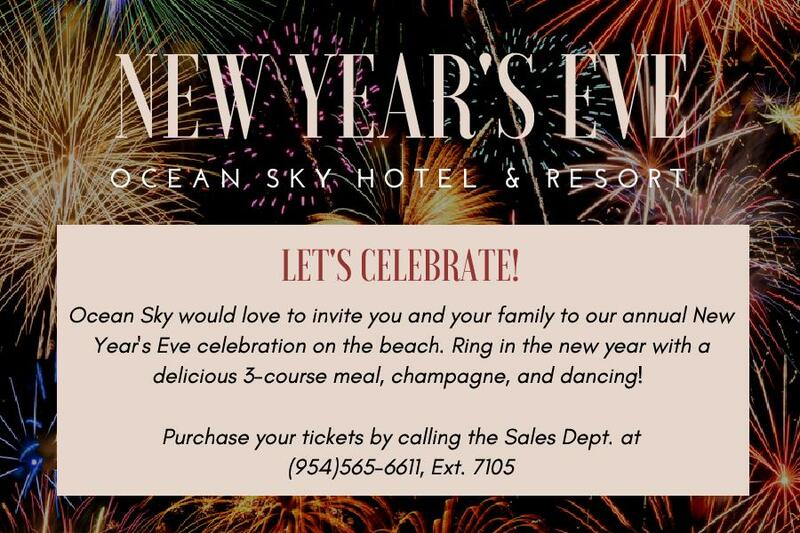 Save when you stay at Ocean Sky Hotel & Resort. 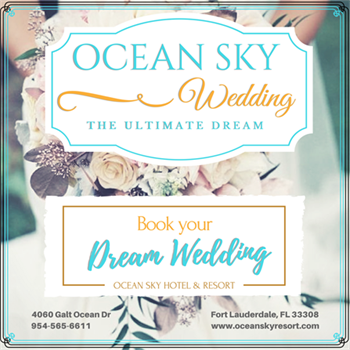 Let us plan the perfect beach wedding of your dreams. Browse our photo gallery to view great images of our beach resort.